Of the 37 players Leinster used in their victorious Champions Cup campaign this season, 30 came through their own Academy. Robbie Henshaw and Seán Cronin were recruited from Connacht, Isa Nacewa, Jamison Gibson-Park, Michael Bent and James Lowe came from New Zealand and Scott Fardy was signed from Australia. Everyone else has played under-age rugby in the province. There are obvious economic and geographical advantages for the east coast province who have a ready-made production line in their vibrant schools game, which they supplement with a couple of club players and clever recruitment. Although clubs from across Europe may be of a mind to send staff to study the Leinster model, they would struggle to replicate the unique system in place. Of the 30 home-grown heroes, 26 attended 11 private rugby-playing schools across Dublin, Kildare and Wicklow. Three players, Seán O'Brien, Adam Byrne and Tadhg Furlong, came through the club scene (Athy RFC also played a big part in Joey Carbery's development before he completed his studies at Blackrock) while Rhys Ruddock was recruited from Wales at a young age and the Ospreys played a big role in his development. Each spring, those schools compete fiercely for the same prize but the competitiveness in the Schools Cup drives the standards across the board. From an early age, Leinster's scouts are monitoring those coming through and identifying the potential professionals. Even Joe Schmidt has recalled watching Jordan Larmour and James Ryan long before they were ready for professional rugby and at every schools game there is a group of coaches in Leinster gear up at the back of the stand in Donnybrook checking out the next generation. They have a special batch right now and scrum coach John Fogarty, whose previous role was as an elite player development officer, says they could see the likes of James Ryan and Dan Leavy coming through from a long way off. "I don't know whether you should do that or not do it, but we tended to look at them like that and box them into places. "You could see that with Tadhg, and you could see that with a few other players and even Garry (Ringrose). When he played in the 20s, he was composed, had time on the ball; very, very different. "So we've been lucky. I've been very lucky to be here, to be in this place during that time, to watch them all unfold." If you believe all of the articles about the snowflake generation, you wouldn't see much of a future in the hard-nosed world of professional sport for these young men, but that doesn't tally with the relentless winners that have emerged into the professional game in recent years. These youngsters have seen their predecessors claim titles growing up and they're determined to have their own piece of the pie. "Mentally, they're just a bit different again than the lads in 2009," Fogarty, who was part of Leinster's first Heineken Cup winning squad, said. "Mentally, they're far more prepared. They're coming out of their schools, or their under-20s, very, very ready to play professional rugby - very, very ready to sit here and talk to you guys (media), and physically they're pretty gifted. "James Ryan and Dan Leavy, again their numbers are outstanding from the weekend - 22 out of 22 tackles, 100pc. 16 out of 16… all these numbers keep coming up for them. So physically really good and mentally capable of coping with pressure. It's been fun to watch." It has been less fun for Leinster's rivals and amidst the celebration on Saturday there was a barb from Racing 92's coach Laurent Labit who wasn't happy with the portrayal of the clash by Leo Cullen who sits at the top of the Leinster tree. "He (Cullen) said before the game that we have a rich man's team, well, he has the Irish team, so we are a just poor man's team," he said in the post-match press conference. Racing's team does have a French core, but only two of those players come from the Paris region and they have the capacity to go out into the market each summer and recruit star names from abroad. Leinster do have some scope to sign a big name like Scott Fardy, but only within the tight IRFU structures. Next season's other overseas recruits, James Lowe and Jamison Gibson-Park, are both on the way to qualifying to play for Ireland through residency. Earlier this season Cullen outlined his view on where they sit in the competition. "We have our way of doing things, and that's a sustainable model that we have," he said. "We can't control what other teams do, because we can't accumulate 50 million quid of losses. That's not the way it works. I think Saracens have this thing called making memories, but it's making memories and racking up a huge debt at the same time." So, they grow their own and are producing them at such a rate that they can't hold on to everybody. Jordi Murphy is heading north, while Carbery might yet join him at Ulster where there's already a growing contingent of players with Dublin accents. Munster and Connacht have their fair share as well, while there is a smattering of Leinster players plying their trade across England at various levels. Yet, invariably, the cream of the crop is kept within the province who - Johnny Sexton and Ian Madigan apart - have managed to stay competitive enough in the market to keep their top talent at home. Of the 37 players used during the campaign, only nine had been part of the first era of Leinster's European success. 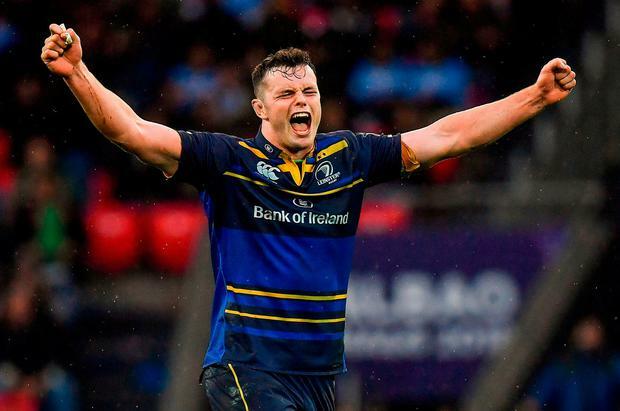 Led by Ryan, Leavy, Ringrose and Furlong, the next generation of home-grown heroes are already world leaders who are dominating the European stage for club and country. Within Ireland, their provincial rivals will have to be inventive in trying to catch up. Across Europe, you can be sure the big guns are already working out ways of putting a stop to their march.